The media must play a responsible role in reporting on the election and informing the electorate about the election. It must give fair coverage to the political contestants and must not encourage violence or engage in hate speech. The detailed duties and responsibilities of the media are contained in the Electoral Act and media regulations. See below for a summary of the legal provisions. The primary responsibilities for providing voter education lies with the Electoral Commission. However, civil society organisations can provide voter education with the permission of ZEC. In conducting this education these organisations must either use voter education materials supplied by ZEC or, if they want to use their own voter education materials, these materials must be approved by ZEC. There are various other legal restrictions upon the provision of voter education by civil society organisations. The civil society organisation must be either registered as Private Voluntary Organisation or be registered in the Deeds Registry as a Trust. 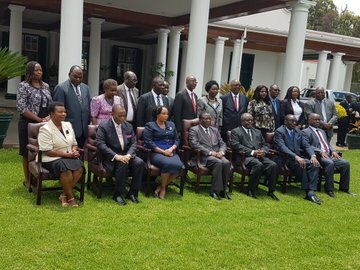 The organisation must consist wholly or mainly of Zimbabwean citizens or permanent residents or, in the case of a trust, it must have a majority of trustees who are citizens or permanent residents.The constitution or trust deed must mandate the organisation to conduct voter education. Persons employed to conduct voter education must be citizens or permanent residents. The materials used must be provided or approved by the Commission. The programme must be funded solely by local contributions or donations; any foreign contributions must be channelled to the Commission which may allocate such funds to the organisation. No foreign contribution or donation for the purposes of voter education shall be made except to the Commission, which may allocate such contribution or donation to any person The materials used must not be misleading. disclose the manner and sources of funding of its proposed voter education activities. A Zimbabwean citizen who is 18 years of age or older and who is registered as a voter can vote in the harmonised election.